How would you like to add a physical button to your Android device, which works with an app that you can program to perform different functions? If you have a 3.5mm headphone jack, then you can, with Klick. Klick has just become available to order through Chinese online retailer Deal Extreme, who are offering Klick for US$4.80 with free delivery to Australia. But wait, you say, that product sounds extremely familiar. Well, you’re right. 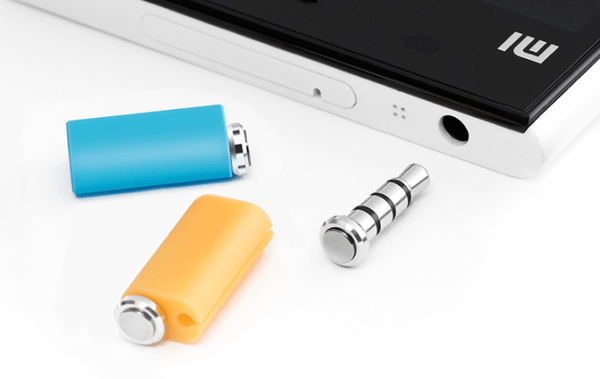 Klick is actually the third product announced which offers the option of adding a Physical button to Android devices. The most familiar of these physical Android buttons here in Australia will of course be Pressy. Last year, ‘Pressy’ was successfully funded on Kickstarter, with just under 29,000 people pledging over $695,000 during the projects 47 day campaign which ran from Aug 29th until closing on the 15th of October. Pressy has been in development since they attained their goal, but at this stage, none of the Kickstarter backers has actually received their Pressy. The last update from the Kickstarter project sent to backers on the 14th of April, advised that Pressy would begin production on the 28th of April, with deliveries of Pressy expected to reach backers around mid-May. So far Pressy hasn’t actually released their app, but screenshots have been shown so there will hopefully be something for Kickstarter backers to download from Google Play when it finally does arrive. 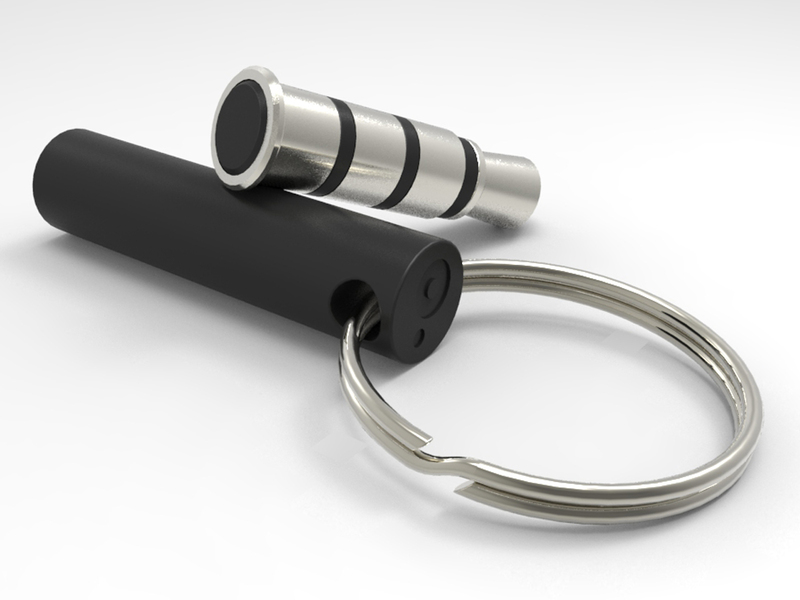 Pressy comes in a range of colours – black,blue,red and white – with a correspondingly coloured plastic holder that can attach to a key chain or headphone cable when it’s not in use. While backers of the original Kickstarter project were able to pledge as little as US$15 for the button, with shipping to the US free or an extra charge for international orders, it’s now available to pre-order from the GetPressy website for US$27 + shipping. But, Pressy is but one option. Last month, waves were made when Chinese manufacturer Xiaomi – the company who hired Hugo Barra, former Vice President of Product Management for Android at Google – announced that they were intending to release a clone of ‘Pressy’ – called the Mi Key. Priced at an astonishingly low 4.9 Yuan (about AUD$0.84), the Mi Key was supposed to go up for sale on the newly launched Xiaomi website Mi.com on the 8th of April but has so far yet to appear. The Mi Key appears to be specifically designed to work with Xiaomi phones, with no separate app announced with the accessory. With Xiaomi phones all running Miui, it’s assumed that the functionality for the Mi Key will be baked into the ROM and therefore only accessible to phones using that ROM. Though the knock-off versions were anticipated, we did not expect to see it from such a respectable and known company … We have IP rights for the design and functionality of Pressy, and are considering our next moves to handle the situation. So, it seems that the Pressy team intend to fight, although fighting a Chinese based manufacturer on IP issues is something that hasn’t gone so well so far for a lot of companies. But, with two products still yet to make it to market, who is the third contendor? The first product to market is called Klick. Looking almost identical to the previous two products, Klick also started out life on a crowdfunding site, albeit a Chinese one, called Demohour. While my Chinese is a little rusty (Ok, it’s non-existent) it appears Klick was successfully funded after Pressy completed their campaign. With Klick raising ¥208,579 (just under AUD$36,000) – more than 20 times their ¥10000 goal – from 2432 backers on the 18th of January this year. But despite Pressy completing their campaign first, there’s one major factor in Klick’s favour – you can order it right now. 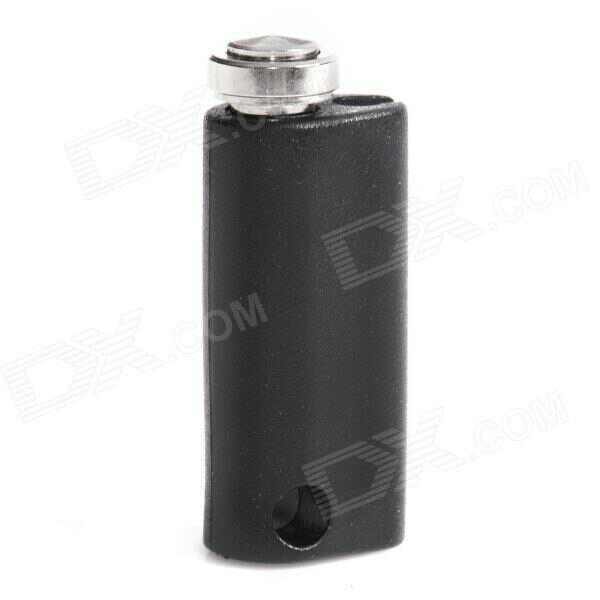 DealExtreme will sell you one for US$4.80 (about AUD$5.20) and ship it to you for free. It too comes with a plastic storage container that appears to be ready to clip to a headphone cable, but has only one colour option – Black. Not only is the hardware shipping, but the software is available to download. Deal Extreme customers are directed to the HelloKlick website to download the app, which at this stage is just an APK stored on HelloKlick’s servers, although from the Google Play logo on their website they do intend to have the app available to download from a far more trusted source. The app itself is quite well designed, although apparently heavily influenced by iOS, but is straight-forward, with options for assigning short or long clicks or a combination of both to applications or actions initiated from the Klick hardware. There’s a persistent notification that runs in your Android notification shade that links straight into the App, but it’s obviously something you’ll need running in order to use the physical button. The concept of Multiple Discovery, is a valid one in scientific circles, and the answer to who first came up with the concept of adding a physical button to an Android device through the 3.5mm jack will probably never be answered fully. Although it appears Klick completed their crowd funding campaign after Pressy completed theirs, a timeline on the Klick DemoHour page shows that the concept was in development as far back as March last year – before Pressy even launched on Kickstarter. This is something that the Pressy team may have taken into consideration, they addressed the Xiaomi Mi Key almost immediately after it was announced but have so far remained silent on the subject of the Klick. For just over $5, though, we’ll admit we’re curious and have ordered one. But, it’s not the only one we’re going to try, we also backed the Pressy Kickstarter back when it was running and as soon as Xiaomi want to release their Mi Key, we’ll probably order one of those too. Stay tuned for a mini-review as soon as DX.com deliver. Which came first? And which one will you be ordering? I reject the top of phone headphone jack and blame the iPhone for its being. All going well the iPhone 5 is convincing other manufacturers to move it back to its rightful place. Each have their benefits. Personally, I like to pocket my phone upside down, have the phone right way up on my desk and in the car dock without the cable having to go up over the top. Apple put headphone jacks on the bottom of their iPods long before that because I remembered thinking it looked stupid, but came to love it. They switch position on the iPhone depending on what other components they can shuffle around inside that gen. I backed Pressy, since it seemed like a great idea and I received Kickstarter email updates on progress and how they've apparently patented it. Then the Chinese companies came around and cloned it to hell and back. I hope that enough people support a company that is innovating (Pressy) rather than a company that is imitating (Klick). If no one does, we'll soon be left with a less creative market with fewer great products in it. If not, I fear one day we'll all wonder "where did all the great inventions go?? ", but we'll only have ourselves to blame. White people believe they are the only people that can invent things. Its just a closeted form of bigotry to say that only some races are creative or imaginative. Harpersneil is gonna claim that he invented sushi next, and the Japanese just copied him! Why have you introduced the subject of race in this conversation?? I find that very offensive. On what basis do you assert that Klick is imitating Pressy? That's probably fair as I don't know for certain who came up with the idea. I thought Pressy was first but if anyone can correct me then I apologise. I stand by my point though that as a community of enthusiasts, we owe it to ourselves to support creators rather than imitators; especially when it's just for the sake of a few bucks! > Although it appears Klick completed their crowd funding campaign after Pressy completed theirs, a timeline on the Klick DemoHour page shows that the concept was in development as far back as March last year – before Pressy even launched on Kickstarter. This is something that the Pressy team may have taken into consideration, they addressed the Xiaomi Mi Key almost immediately after it was announced but have so far remained silent on the subject of the Klick. I just love how pressy copied mi key holder, the hook on the headphones. I got a Mi key button and using klick app. Best thing ever. Out of respect to the Author, I'd prefer not to admit it, but you've kinda forced my hand; I skim-read the article! Glad you and I feel the same about innovation anyway. I am a pressy backer. However, I am considering ordering a Klick as pressy seems to have gone to ground. They don't provide updates anymore nor do they answer emails. On the subject of Klick, isn't it funny how identical it is to the Pressy. Furthermore, if you look at the Klick app interface, it is identical to the Pressy one. So who copied who ? I have the Klick now. Ordered it several weeks ago. I was also a Pressy Backer. The Klick looks identical to the Pressy, down to the app. Which makes me wonder, who really copied who???? I had pre-ordered a Pressy, but why would I want to pay 3X as much for basically the same thing. Cancelled my pre-order and picking up a Klick. As for who created it first, I really don't care. I just want something that does what I want and when I want (now lol). I can get a klick now and I was able to test the app to make sure it worked on my device. Bonus points. I bought a klick and cant get it to recognize any input on my motorola running 4.1.2, anyone got advice? White people believe they are the only people that can invent things. Its just a closeted form of bigotry to say that everything is copied, even when it isn't. While people are gonna claim they came up with sushi next. chicken or the egg! in the end if you want to eat an egg you buy one, if it's chicken you buy the chicken. who cares what came first.